Upcoming photography courses and photo workshops in Western Canada & photography tours to Croatia. The outdoor and travel photography course will provide you with a foundation of digital image capture and processing, and help you prepare for traveling as a photographer. The course will inspire and enable you to improve your photography skills and take authentic and more meaningful travel photographs. It is aimed at novice and photographers with intermediate skill levels. 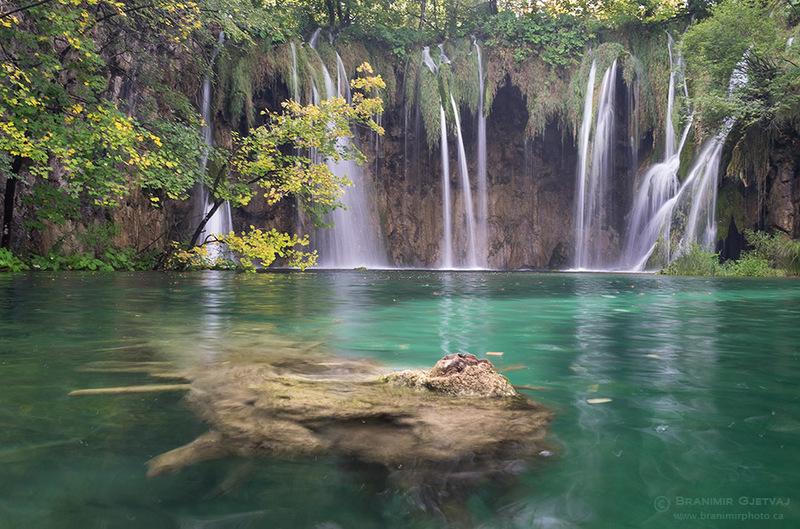 Visit the Croatia photography tour page for more information about the cost and registration, or check out the detailed itinerary. Photography workshops and seminars include one or several illustrated lectures that cover a variety of topics: from the basic technical skills such as composition, exposure, lens choice, to the use of colour and light in photography. You will be introduced to new techniques, receive inspiring photo tips, and encouraged to take your photography to a higher level. Attending any of our workshops, seminars, or field trips will help you improve your technical skills, and provide you with an opportunity to learn how to discover and use visual elements in outdoor photography. I can also prepare and deliver a custom photography workshop for your group (example: macro photography workshop for a local plant society or a camera club). The idea behind photography tours is to take participants to exceptional locations to explore and photograph. The advantage of our photo tours is that we harness the tour guide’s knowledge of an area to take you to locations with first class photographic opportunities. As a participating instructor, I will always be around to provide insightful tips and suggestions. You will be able to share your knowledge and experience with the group, and learn from other photographers who have similar interests.Transportation, lodging and meals are provided, allowing you to devote more time to do what you like doing most – photography. I will be leading photo workshop and tours either alone, or in co-operation with other well known Canadian photographers and instructors. If you are interested in one-on-one tutorials and consultation, I am now offering personal instruction. Whether you are planning a ‘one in a lifetime photography trip’, interested in a review of your photography portfolio, or would just like to learn basics of photography and how to use your new shiny camera, contact me and we can design a custom program to fit your specific learning needs. 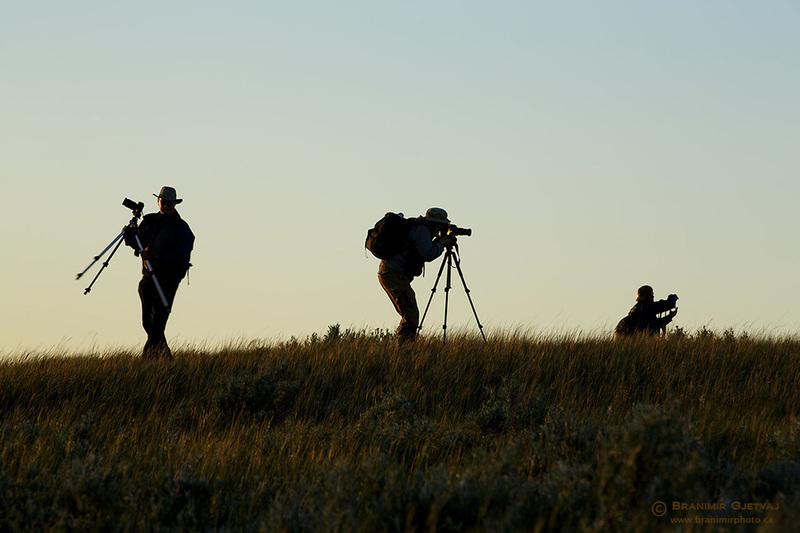 Participants in the Grasslands NP photography workshop.